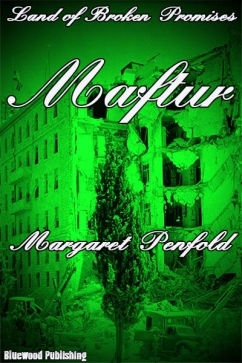 At the age of twelve, Maftur knows she wants to marry the boy next door. Before settling down as a wife and mother, however, she aims to prove she can earn her own living and become a glamorous secretary. She is also fiercely patrotic, and cannot stand by while Palestine, the county of her birth is threatened with a takeover. She sets about attempting to rectify the political situation , but in contrast to her brothers, in a non-violent fashion. When her father betroths her, as family tradition decrees, to a close relative,in far away Damascus,she knows she will have to connive against her father, clan and the British administration to achieve all her objectives. The Outbreak of WW 2 changes the whole scenario, making friends of enemies and enemes of friends. She turns the new situaation to her advantage but the benefits are unlikely to last.